Face to face with the man who knows what happened to her daughter: Beth Holloway is filmed on hidden cameras talking to Joran Van der Sloot in a Peruvian prison. Stone-faced: Mrs Holloway pleads with Van der Sloot for information about Natalee - but he only admits that he has made some 'bad decisions'. It was first reported on in September that Mrs Holloway had "snuck" into the prison to confront Van der Sloot - but now footage and what was said has been revealed for the first time. Prior to the meeting, De Vries had fitted Mrs Holloway with a hidden microphone to capture every word of her conversation. Four more covert cameras were set up in the prison warden's office. We arrived at the gates of Castro Castro and of course, I was anxious and nervous,' she said. But entering the prison grounds I still felt confident that what I was doing was the right thing. There was no divider or security screen, although a warden was sitting behind a desk. Mrs Holloway's presence had come as a complete surprise to van der Sloot. Just listen to me for a couple of minutes,' she said. I won't do anything until I get some information about Natalee. I want to know what happened and I want to move on, Joran. I want to move on. If it was an accident, tell me. I don't know. It's too late for Natalee but it's not too late for you Joran. I just want to get face to face with you. I don't have any hate in me. Van der Sloot's reply: 'I hope you can understand it's very hard for me to talk to you... It is the least I owe you, for sure. I've made so many bad decisions and for all the wrong reasons. Joran I've been a school teacher for 30 years and I felt like there was a real sincerity that you wanted to get this monkey off your back. And I thought that's where we were going. I know you want your life back. But you're looking at spending the rest of our life in prison. I hope you can understand it's very hard for me to talk to you,' he said. It's really not easy, I'm really doing my best. I know you have a very good heart, I know that for a fact. It is the least I owe you for sure. I've made so many bad decisions and all for the wrong reasons. Joran, you don't need to lose your life in prison and be sitting here when you're 60 years of age and be sitting here insisting to me that you don't know what happened she said. Tell me what happened, let me take her home. I wanted to peel the skin off his face. I'm thinking this is it, this is my one chance and I'll never get this chance again. My eyes met his and we were face to face. The only thing I had left in me was just to speak from the heart. Castro Castro prison: An aerial view of the Peruvian prison holding Joran van der sloot. He is charged with the murder of Stephany Flores on May 30. Mrs Holloway, from Alabama, has always been vocal about her only daughter's suspected killer, saying he has 'dragged her through hell. Because if he wants to sit there and keep insisting that he doesn't have answers or doesn't know what happened to Natalee well then I want him to keep saying that when he's 60 years old sitting in prison. He can't even take a mother sitting in front of him to tell her the truth ? It was another elaborately fabricated story from Joran,' she said. Of course we'd thought just maybe, just once he was telling the truth. But no. 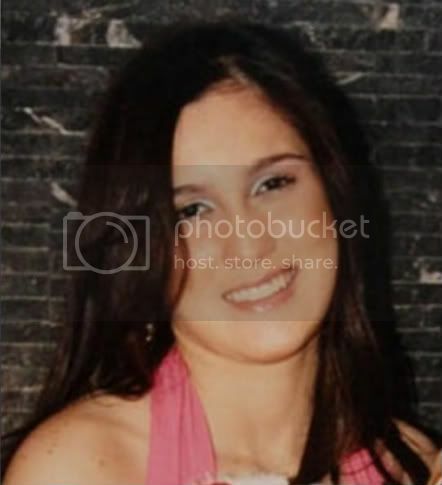 I know that Joran will either spend the rest of his life living in a Peruvian prison or I will have Natalee and will bring her home and I will have the answers I've been so desperately seeking. I missed the show, Magnolia...I knew there would be something here. Thanks so much or the update!!! FULLERTON, Calif. -- The mother of a Southern California woman who vanished almost 10 years ago said Saturday a bracelet found on recently unearthed remains belonged to her daughter. Nancy Ekelund of Fullerton told The Associated Press that she had met with a coroner's investigator and instantly recognized the gold-link bracelet she had given as a present to her daughter Lynsie Ekelund, a 20-year old Fullerton College student who disappeared in 2001. Blog's for Natalee's FB is rather embarrassing. Why have it if you aren't going to update or monitor it? There's just something unsettling (to say the LEAST) about a FB titled "Blog's for Natalee" that has the last post (almost a month old, btw) that looks like spam and discusses weight loss via Acai diet and colon cleanse. My point exactly Muffy. All they have to do is monitor it occasionally. Let's hope it's monitored on a regular basis in the future to prevent it from becoming a target/dumping ground for spam. Please delete posts 679 and 680 in the Devries' thread. I posted in the wrong thread. Looks like there are some problems from Tomas in Aruba...I've been reading (social pages) about a couple of the other beaches being washed away in the tides too. swim is more facil before arrive baby beach. the bad time by tomas y her consecuencianan owing to trece cierto problem before esnan cu be willing to arrive baby beach. for by lone palm stadium come to anend can see the cantidad by water cu is tapa the veld y also ascend the caminda. before esnan cu is cuida they car kizas the do not saludable before happen in the water here. the is water cu enough salt. same cu the area here have another partinan cu also owing to attain danjo by the lama bruto. the lama owing to ascend earth y throw till even palapa abao near by low rise hotel. the photograph here self is saca some pabao by baby beach where the water by lama y awacero owing to bird riva the caminda y area rond. The undermining of the integrity of Beth and Jug was an intregal part of the Aruban misinformation campaign WHICH was established early on to distance Joran from implication in the events that encompassing the disappearance of Natalee Holloway. "We have taken two statements, from Julia Renfro and a Holiday Inn worker, that Beth told them she had gotten a call from her daughter, and that she was in love with a tall, blue-eyed Dutch teenager. So [Beth] had contact with her daughter. But she denies it. The question is why. If [the Twittys] don't level with us, how can they talk about a conspiracy? We need to know the truth. Joran did not have blue eyes. So who was this boy?" Beth denies making any such statements, or even having talked with Natalee while she was in Aruba. DAN ABRAMS, HOST: Beth, any truth to this, I don't know if it's rumor or report, et cetera, that Natalee had said something to you about having a crush on a blonde haired, blue eyed boy in Aruba? 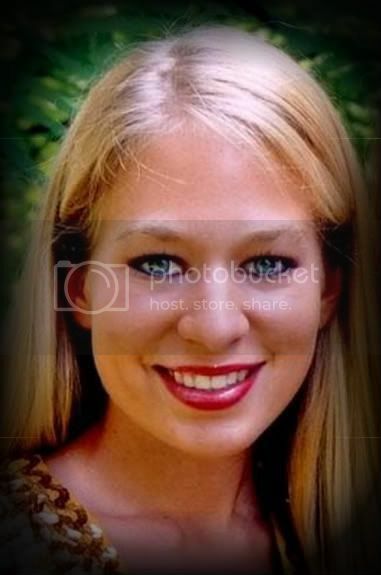 BETH HOLLOWAY TWITTY, NATALEE HOLLOWAY'S MOTHER:: Dan, there's just—there's no truth to that at all. You know Natalee had not called me. She didn't have international calling on her phone and no she never—her friends said that this never happened, it was never mentioned. And just simply it's just another rumor that had started and it's just not true, Dan. I think this is Part 2 of Peter's show, on his website! That was it, I've just finished watching. Thank you Peter R. DeVries! I think there is more to come … there is more to come.